Donald Hickey, Ph.D. is a doctoral graduate of the University of Illinois, Urbana-Champaign. 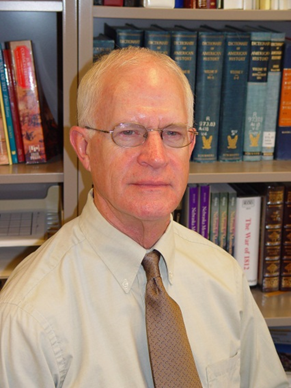 Dr. Hickey is a professor of history at Wayne State College in Wayne, Nebraska, and has authored six books and more than 50 articles on the War of 1812. He has previously served as a visiting lecturer at the University of Illinois, Urbana‐Champaign and the John F. Morrison Professor of Military History, U.S. Army Command and General Staff College, Fort Leavenworth, was the Co‐Director and Professor of Nebraska Semester Abroad Program and was a visiting Professor of Strategy, U.S. Naval War College in Newport, RI. His current research interests include: Early National America, the War of 1812, Quasi‐War, and the Freedom of Speech in Wartime. Dr. Hickey’s books Don’t Give Up the Ship! Myths of the War of 1812, and The War of 1812: A Forgotten Conflict are both available for purchase at the Jefferson Educational Society, 3207 State St. Erie, PA.